The Monkees in their heyday: from left, Michael Nesmith, Peter Tork, Davy Jones and Micky Dolenz. Mr. Jones died on Wednesday at age 66. Davy Jones, by long-held public consensus the handsomest and most popular of the Monkees, the collectively young, longhaired, wildly famous and preternaturally buoyant pop group of the 1960s and afterward, died on Wednesday in Indiantown, Fla. He was 66. Breaking news about the arts, coverage of live events, critical reviews, multimedia and more. 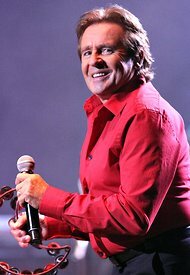 Davy Jones of the Monkees performed live at the Manchester Apollo last May. The apparent cause was a heart attack, his publicist, Helen Kensick, said. Though the Monkees officially lasted only until the early ’70s, they reconvened sporadically for decades. For much of that time Mr. Jones also toured as a solo singer-songwriter; among his last performances was one on Feb. 18 at B. B. King Blues Club & Grill in Manhattan. 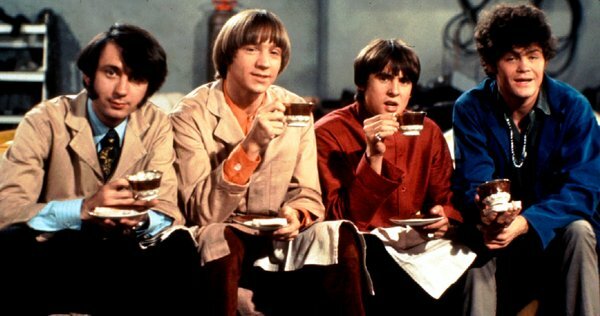 For all the Monkees’ chart-topping acclaim, the group never pretended to be anything other than what it was: a smoke-and-mirrors incarnation of a pop group reminiscent of that mop-topped one from Liverpool, created for a benignly psychedelic American TV sitcom. Broadcast on NBC, “The Monkees” lasted just two seasons, from September 1966 to March 1968, and featured Messrs. Jones, Dolenz, Nesmith and Tork as members of a freewheeling, fun-loving, beach-house-dwelling, up-and-coming pop group. The show won two Emmys in 1967: for outstanding comedy series and, to the director James Frawley, for outstanding directorial achievement in comedy. But the critics could not dim the profuse enthusiasm of fans, who were overwhelmingly young, female and shrieking — tweeners before the word was applied to that demographic. This adulation (and in later years nostalgia) kept the Monkees going, in various incarnations, on and off for decades. Last year three-quarters of the group, absent Mr. Nesmith, briefly toured Britain and the United States before cutting the tour short because of unspecified internal dissension. The group’s frontman and the only actual Englishman of the four, Mr. Jones was inclined to elicit the loudest shrieks of all. An index of his appeal was his guest appearance on a memorable episode of “The Brady Bunch” from 1971 entitled “Getting Davy Jones.” In it, Mr. Jones, playing himself, saves Marcia, the family’s eldest daughter, from social ruin by attending her prom. Television and the stage were actually Mr. Jones’s original vocations. David Thomas Jones was born on Dec. 30, 1945, in Manchester, England. A child actor, he appeared on “Coronation Street,” the British soap opera that went on the air in 1960 and is still running, and in the police drama “Z Cars.” After his mother’s death when he was a teenager, he abandoned acting. Slight of build — he stood not much more than 5 feet tall in his prime — he began to train as a jockey. Lured back into the theater a few years later, he played the Artful Dodger in the West End musical “Oliver!” When the production moved to Broadway in 1963, he reprised the role (billed as David Jones), earning a Tony nomination as best featured actor in a musical. Appearing with the cast of “Oliver!” on “The Ed Sullivan Show,” Mr. Jones had a transformative moment. After the cast sang, he heard wild cheering. But alas it was not for them: it was for the Beatles, also booked on the show that day. Mr. Jones, who had homes in Hollywood, Fla., and Beavertown, Pa., spent his later years touring; acting occasionally on television shows like “My Two Dads” and “Boy Meets World”; raising horses; and recording, including the well-received solo album “Just Me” (2001), which featured his original songs. Whatever Monkeedom still attached to him (and it was considerable) did not dismay him. Mr. Jones’s first marriage, to Linda Haines, ended in divorce, as did his second, to Anita Pollinger. His survivors include his third wife, Jessica Pacheco; two daughters from his first marriage, Talia Jones and Sarah McFadden; two daughters from his second marriage, Jessica Cramar and Annabel Jones; three sisters, Hazel Wilkinson, Lynda Moore and Beryl Leigh; and three grandchildren. The other three members of the Monkees also survive. Perhaps Mr. Jones’s most enduring legacy takes the form of a name. The name belongs to another English musician, who burst on the scene some years after the Monkees. This man, too, had been born David Jones. But thanks to the Monkees’ renown, he knew he would have to adopt another name entirely if he was to have the hope of a career. A version of this article appeared in print on March 1, 2012, on page A23 of the New York edition with the headline: Davy Jones Dies at 66; Heartthrob in the Monkees.